Ozu's I Was Born But... and Mizoguchi's Osaka Elegy and Sisters of Gion have long been considered liberal films, depicting and unprecedented level of social realism in Japanese films. 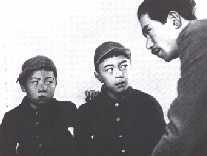 Ozu's last silent film has been "found to be the first work of social realism in Japanese film"(1). The case of Mizoguchi's works is even more interesting since they were made at a time of rising militarism in Japan. As Donald Richie has pointed out "Osaka Elegy carried realism of an extreme never before seen in Japan"(2). In this essay I would argue that these three films have, not only liberal tendencies, but quite radical ones too. I will discuss them from the historical, political and social background in which they were made, establishing a connection with the most radical ideas (anarchism) that, even though if they were not a real threat to the monarchical democracy born from the Meiji Restoration, were circulating at the time. Among these ideas was the overthrow of the Japanese emperor. Firstly to destroy his divinity and reveal his human nature and secondly as the person to blame for all the malaise of Japan at the time. Regarding I Was Born But... I will centre my discussion on what David Bordwell, in his study of Ozu's work, has called the broken promises of the Meiji period (3). But I would also add that Ozu's film, not only criticises the inequalities of power and portrays the father figure's loss of prestige and power, but, by doing that, he also challenges the authority of the figure of the emperor himself and therefore the political system from whose power is legitimised. I would further these discussions on the criticism of the emperor in Mizoguchi's films, presenting a link between his heroines Ayako and Omocha (both characters played by Isuzu Yamada) and two of the most ferocious opponents of the figure of the emperor: Kanno Suga and Kaneko Fumiko. Questions over the figure of the emperor, his authority and divinity are raised, unconsciously, in Ozu's film. Whereas film critics have been quick to point out Ozu's themes on the inequalities of Japanese society and its hierarchical nature as well as the breakdown of the family system due to the patriarchal loss of power, happening at the time the film was made, they have been unable to see any further from what is really obvious. I Was Born But... we also need to bear in mind the fact that the figure of the emperor became more popular in this period and that of the father was made stronger, even though, as Bordwell points out, when the family was being canonised (and his power legalised), the ie (family) was itself breaking down (4). Still, this aspect of Japanese social-politics, with all its contradictions, needs to be taken into account. Three were the documents that set out the foundations of social and political life from 1868 to 1945 and established the status and role of the emperor and the father of a family: The Constitution of 1889, the Imperial Rescript on Education of 1890 and the Civil Code of 1898. The Meiji Restoration brought back the emperor as the ruler of Japan replacing the Shogun. It also brought down the shi-no-ko-sho social system (5), that is the four-class system of samurai, peasant, artisan and merchant. Subsequently, a constitution had to be created to define the powers of the new ruler (6). The Emperor promised a constitution in September 1876 but its public announcement did not happen until the 5th of February of 1889 (7). According to Donald Keene the 1889 Constitution was the most advanced possessed by any Asian country and was more liberal that those of many European countries; but the insistence on the "sacred and inviolable" person of the emperor and the rights of sovereignty invested in him indicates how far the constitution was far from granting sovereign power to the people (8). So, in general terms, the political system set up by Meiji Japan consisted of an oligarchic bureaucratic elite which ran the country in the name of the emperor in whose figure the legitimate power was vested (9). The Imperial Rescript on Education written by Meiji's chief tutor, Nagazane Motoda, and promulgated in October 30, 1890, reinforced the ideals set forth in the constitution. In Motoda's rescript three things stand out: it lays central stress on hierarchical family loyalty, it requires "subjects" to pursue "the public good", with the emphasis on social rather than private obligation and firmly demands subordination and devotion to the state and the throne and love of the country or chukun aikoku10. Moreover, the relation between sovereign and subjects assumed by the early Meiji elite is explained as follows in the commentary on the Imperial Rescript on Education written by Inoue Tetsuziro: "The relation between the sovereign and his subjects is similar to that which exists between the parent and his children. The state is an extension of the family. How the sovereign leads his subjects is similar how the parent of a family leads his children" (11). During the next two decades after 1890, these ideas were to be elaborated and extended into what has been termed as the kazoku kokka (family state) concept, a view of Japan as a unique polity wherein the people were seen as branches of one family and obedience was owed to the emperor as head of the main line of the family (12). According to the historian Jean-Pierre Lehmann, what the creators of the civil code of 1898 desired was that the customs of the traditional samurai family should be legally codified. So the civil code would preserve the structures and values of the traditional samurai family (13). It asserted the family as the basic social unit of Japan against the individual and stressed the values within the family based on patterns of reciprocal obligations and cardinal virtue of filial piety rather than individual rights (14). When the code was further revised in 1912, the parts relating to the family and inheritance laws were even further "samurai-ised" (15). In the Japanese family ideology, two different kinds of family are assumed: that of the emperor and those of the common people. They are related as main, the emperor's family with the emperor as the head of his families and the branch families (16). If we consider this point in relation to the two boys' actions in I Was Born But... it can be argued that they are not just rebelling against their father, head of a branch family, but the emperor himself, head of all the branch families of Japan. Interestingly enough, their first sign of rebellion is on their first day at school. After being bullied by one of his classmates, the much bigger and stronger Kamekichi, they decide to bunk off school. The next scene shows their classmates in a military-like drilling exercise. I Was Born But... was released in June 1932. This year marked the beginning of the increase in military influence on government. In May 15 of the same year, the prime minister Tsuyoshi Inukai, elected in February and whose party the Seiyukai, had in recent years adopted a more nationalist, pro-military stance, was assassinated by the members of the ultra-nationalist group Ketsumeidan (Blood Brotherhood). No cabinet after Inukai's was to be headed by a party politician again until 1946 (17). The Imperial Rescript to Soldiers of 1882 stressed the absolute loyalty to the emperor rather that the duty of obedience in general (18). So, we can also argue that the boys, even though not yet soldiers but soon to be (it is interesting to point out at the end of I Was Born But... when the boys's father asks them what they want to become when they are adults both answer that they want to become military officers, the older General and the younger, for being younger, has to be only Lieutenant General), missing this military exercise are again challenging the authority of the emperor by being disloyal and by not fulfilling their duties. Later on, the father finds out that they had not attended school that day and that they have forged their assignments. The boys seem to understand their mistake and accept the scolding from their father without any protest. When I say the boys seem to understand their mistake, it can also read that they should accept their father's decision without any complaint whether or not he is right or wrong. As explained above in relation to the Imperial Rescript on Education, the relation between a parent and his children is similar to that between the sovereign and his subjects: that is total obedience and filial piety or kô. This idea of kô was translated by the leading public educator of Tokugawa Japan Kaibara Ekken (1630-1714), into the severe rule of blind obedience. So "The child must accept in silence the censure of his elders. He must listen respectfully to what they say, whether is right or wrong. However violent and insulting their language may be, he must not show the slightest trace or anger or resentment" (19). Nevertheless, as they are being told off by their father, who is taking his working clothes off and putting on a kimono, the boys look at each as they spot the silly way in which their father has his socks rolled down to his ankles. This is the beginning of their loss of respect for their father that will be reinforced, later in the film, during the projection of the home-movie. In this particular scene, their father appears on the home-movie acting like a clown, making faces and silly dances for his boss's camera. The boys feel great disappointment and shame in seeing their father acting in such silly way and the others in the room, including their classmates, laughing at his performance, especially since in I Was Born But... there is an intense competition between the boys of the gang to decide whose father is the greatest. Another father that has his reputation undermined is the boss, who in the home-movie is seen meeting up with two geishas, and receives the recriminatory look, not just of his wife but all the boys in the room too. Back in their house the younger brother confronts his father in a remarkably vicious way, in a scene which many critics have taken as the most important point in the film's criticism of the Japanese society at that time. The admiration the boys had for their father when, on their way to the boys' first day at school, he reminded them he always got an E in writing and arithmetic, has changed to scorn. The E's that his father obtained have little value for them now since, even if they study hard at school, they will probably have to bow to somebody like their father's boss son, Taro, although they get better marks than the latter does. They might even have to behave like their father did in the homemovie. As Bordwell points out, this scene highlights his argument on the broken promises of the Meiji period. Among some of these promises was social mobility. According to Lehmann education became the determinant factor in social mobility: it was more prestigious and far more influential in terms of career prospects to be a graduate of Tokyo Imperial University, irrespective of social background, than to be able of claim that one's grandfather was of a distinguished samurai family (20). The notion of risshin shusse, or "getting ahead in the world", promised that education and hard work would assure the young man of material success (21). This is only in theory since, as the boys realise, social mobility is achieved, not through merit, but money and position. This is something that the father also admits, a situation with which they will have to live for the rest of their lives. So the meritocratic quality of the Meiji period did not exist. Only those with money could go to prestigious universities that will give them the opportunity to become something more than an employee. To Lehmnann the meritocratic system was clearly biased in favour of the urban upper-middle classes (22). So where does the emperor fit in all this?. As stated in the Meiji constitution, the emperor, that is the state as well, desired "to promote the welfare of and to give development to the moral and intellectual faculties of our beloved subjects and the very same (the subjects) have been favoured with the benevolent care and affectionate vigilance of our ancestors, hoping to maintain the prosperity of the state, in concert with our people, and with their support " (23). Since the father was seen by Meiji ideology as the mediator of all social authority and the link to the ancestral tradition (24), it is not surprising that he is the focus of the kids' criticism. As the lives of many Japanese people were not improving, could not the emperor be blamed for it?. The father in I Was Born But... does not seem he can, even if he wanted, change the future of his children. If this scene portrays a social reality, as having said by many critics, it does it in a very radical way. As Joan Mellen suggests the father loss of prestige in the boys' eyes will be socially dangerous, precisely because it will weaken the father's power to see to it that they subsume their youthful vitality to the norms of Japanese society (25). The whole Japanese society is under threat since it was based on a notion of loyalty to a father figure. Ideas such as Japan being a great extended kyôdôtai (community) or the unique relationship between the emperor and people, as expressed in kunmin itchi (ruler and people as one) or tenno no kokumin, kokumin no tenno (the emperor's people, the people's emperor) and the kazoku kokka (family state), which contributed to create a docile and loyal population, will lose any sort of value and meaning. What it is more amazing in I Was Born But... is that the father's power does weaken. The older son tells him that he is not afraid of him, that he is nobody, nothing. At this point he starts throwing books on the floor, the father shouts at him and the boy stops for a few seconds, after which he starts throwing books on the floor again. This is the moment when the father's authority has no validity as the boy ignores his father's order to stop. Thus, the father resorts to corporal punishment but he is also kicked backed twice by the older son and hit with a Ping-Pong racket by the younger one. Having all this in mind we just cannot consider the confrontation between the father and the elder son as simply a fight but as an attack to the idea of kô, not just between father and son, but also between the emperor and his subjects. The older boy, through his questions and actions, not only puts in doubt the authority of the father-figure but questions its validity in the modern world. Also what Ozu is doing in portraying the father in such a way is humanising his image. He has not just lost power, looks silly, vulnerable, insecure, unable to provide answers but above all he looks human. The human nature of the father is also exposed when he is physically attacked by both boys. If during the Meiji period the family, with the father-figure as its head, was being canonized, Ozu brings it down to earth. 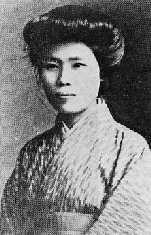 Here we can build a similar link, with some differences, with the case of the anarchist Kanno Suga when she planned, along with another four anarchists, to assassinate the emperor in 1911. During Suga's interrogation she said "I had to show that the emperor too was a human being whom blood could flow from just like the rest of us" (26). Kanno Suga's intention to murder the emperor sprung from a desire to avenge social inequalities and evils as the emperor was seen to symbolize inequality and was a screen for the real wielders of power (27). If we consider, once again, the idea of the emperor as the head of his own family and the branch families and Inoue Tetsuziro's Imperial Rescript on Education where he proclaims how the sovereign leads his subjects is similar to how the parent of a family leads his children, then it could be said that the boy's rebellion against their father is a metaphor for Kanno Suga's rebellion against the emperor. According to Mellen, Ozu remains well aware throughout the film that there is no place in Japanese culture for the rebel or the dissenter (28). In Kanno Suga's case she was sentenced to execution along with another eleven anarchists, including Kotoku Shusui, leader of the movement and Suga's ex-lover, in an unfair trial that has been called The Great Treason Incident. At the end of I Was Born But... the reconciliation between the boys and their father has a feeling of resignation to one's destiny. As Raddeker points out this resignation to one's destiny or akimare is a Buddhist concept of great importance (29). A resignation which is a group-orientated resignation leading to passivity that is said characterizes the common people so that harmony within the kyôdôtai is restored. Nevertheless, that submission seems to be a bit forced, the film's spirit of protest against the political, social and ideological situation of Japan still reverberates by the end of the film. It is even more clear, in the two Mizoguchi films Osaka Elegy and Sisters of Gion, that father-figures are responsible for causing all the problems occurring to the female characters and, as a consequence, these react against the oppression of the patriarchal society. Thus, Gregory Barrett in his book, Archetypes in Japanese Film, argues that the "first real criticism of male-orientated society appeared in 1936 through the young heroines of Mizoguchi's Osaka Elegy and Sisters of Gion" (30). However Audie Bock believes that Mizoguchi does not portray women as revolutionary but just as women who condemn the status quo (31), that these women do not try to change the system and might resort to tactics employed by their male counterparts such as corruption, deceit and financial exploitation (32). Of course, Ayako and Omocha, are not revolutionaries in the same way as Kanno Suga and Kaneko Fumiko were (even though, Kaneko Fumiko's involvement in the plot to kill the emperor is far from clear and it all seems that she helped the prosecutors to follow this view just as an act of rebellion against authority) when they planned to kill the emperors Meiji and Taisho respectively. Nevertheless, it is interesting to see that the title of the book where Raddeker explores the lives of these two women does not bear the word "revolutionary" but it is called Treacherous Women of Imperial Japan. The reason for that being that they did not comply with the expectations or follow the code of filial piety and, most importantly, they betrayed the ideals of the Japanese patriarchal society. So, Osaka Elegy shows, in the form of Ayako, the reasons for Omocha's rebellious stance against codes of loyalty and the Japanese patriarchal society in Sisters of Gion. Furthermore, these two films had to be viewed in a historical context. As explained earlier in this essay, in 1936 Japan's rise to military power was at its height. It was also the year that Japan invaded China. From a historical point of view, the actions of these women in post-war Japan would be far from radical, but at this point in Japan's history their opposition against man's power, especially in the case of Omocha, can be seen as quite radical. In Osaka Elegy, Ayako sacrifices herself for the good of the family, in particular for her father and elder brother, an attitude in accordance with the Neo-Confucian idea of loyalty and filial piety. As the story progresses this idea is revealed as being a total sham. Not just because the men in the film are not worthy of it but because it contradicts other principles created during the Meiji period such as the concept of good wife, wise mother, (ryôsai kenbo), developed after the Civil Code of 1890 which strengthened the concept of the ie. Ayako's fall into prostitution to remain loyal to the patriarchal family prevents her from performing the most important duty women were given in pre-war Japan. Ayako's boyfriend refusal to help her by the end of Osaka Elegy is motivated by the shame and danger that Ayako's actions could bring to his professional career, but also by the fact that Ayako is no longer a virgin. Similarly, Fumiko's father had arranged for her to marry her uncle but he refused after he had found out Fumiko had had an affair with a student and was no longer a virgin (33). Funnily enough, prostitution and especially concubinage were back in favour at the turn of the 19th century due to the greater power given to the head of the family through the Civil Code (34). Ayako's development into the character of Omocha in Sisters of Gion echoes the lives of Kanno Suga and Kaneko Fumiko. In fact, the last sequence in Osaka Elegy shows Ayako walking alone on a bridge, looking defiantly at the camera. Her look seems to be saying: "That is what you made of me, now I will be on my own, I don't need any men to help me" which shares many similarities with Raddeker's view of what Fumiko seemed to had said to judges and prosecutors during her trial (35). Ayako's experience with men illustrates how repressive Japanese society was in the 1930s. Ayako's father's arrangement with her boss, so that Ayako will become his mistress and the father could get a job in the boss' pharmaceutical company, recalls Raddeker's comments on Fumiko's father and uncle when she says that the uncle used her as a plaything and the father as a tool to be used for mercenary ends (36). Omocha's character represents a continuous fight against a male-dominated society. Her rebellion against the dominance of the male is seen in her refusal to follow the principles of giri (an ethical code of conduct, loyalty and obligation) and on (principle of obligation associated with geishas) by not helping her patron who has just lost his business and left his wife. Her geisha sister Umekichi does help him out of loyalty but she is later abandoned by him when he inherits another business and returns to his wife proving, once again, that any sort of loyalty bonding is useless. Even when she is taken to hospital, badly hurt by a furious lover, Omocha refuses to give in to the social, legal and political superiority of men. Fumiko's suicide in prison was motivated by her refusal to bow to male laws. She had been sentenced to death by the court but later pardoned to life prison by the emperor himself. Her taking of her own life was the last rebellion against the Japanese patriarchal society headed by the emperor, an act of independence and individuality, of being only herself the one to take her life. On the hospital bed Omocha asks, looking straight to the camera, recalling the last shot of Osaka Elegy, why are such a thing as a geisha in this world? The question goes far beyond the narrow world of the geisha but is directed to the whole patriarchal Japanese society that has used and abused all women. The lives of Ayako and Omocha show the ways in which the family and social system made women suffer. The authoritarian paternalism in which Ayako is trapped is then attacked, unsuccessfully, by Omocha. This authoritarian paternalism, as Raddeker explains, was very much a part of emperor-system patriarchal-capitalist imperialism. (37) And since this paternalism extended all the way up to a godly father-figure (38), the emperor of Japan, then Omocha's rebellion mirrors Fumiko's one. I Was Born But... Osaka Elegy and Sisters of Gion were made with views implicitly opposed to what was happening in Japan at the moment. Furthermore, the creation of a Japanese Empire and the war effort, among other things, were based on loyalty to the emperor. The samurai-isation of the lower classes and the adoption of Neo-confucian and Neo-Shinto ideas which will be the basis for the constitution of 1889, the Imperial Rescript on Education and the Civil Code weaken even more the position of women in society and strengthened the figure of the father which is extended to the father of the whole family-state, the emperor. Thus, these three films go beyond pure liberalism by unconsciously criticising the emperor as responsible, exactly as how Kanno Suga and Kaneko Fumiko also saw him, for the malaise in Japanese society. Richie, Donald Ozu (London: University of California Press, 1974), p.5. Anderson, Joseph & Richie, Donald The Japanese Film: Art and Industry (Princenton: Princenton University Press, 1982), p. 103. Bordwell, David Ozu and the Poetics of Cinema (Princenton: Princenton University Press, 1988), p. 41. Lehmann, Jean-Pierre The Roots of Modern Japan (London: MacMillan Education Ltd., 1982), p. 183. Keene, Donald Emperor of Japan: Meiji and His World, 1852-1912 (Chichester: Columbia University Press, 2002), p. 339. Harvey, Robert The Undefeated: The Rise, Fall and Rise of Greater Japan (London: MacMillan, 1994), p.97. Cho, S. "Japanese Family Ideology in the Light of the Chinese and Korean Moral Philosophies", in Cho, S, and Runeby, N. (ed. ), Traditional Thought and Ideological Change: Sweden and Japan in the Age of Industrialisation (University of Stockholm, 1988), p.11. Sims, Richard Japanese Political History since The Meiji Renovation 1868-2000 (London: Hurst & Company, 2001), p.66. Plotkin, Ira L. Anarchism in Japan: A Study of the Great Treason Affair 1910-1911 (Lampeter, Wales: The Edwin Mellen Press, 1990), p.7-8. Mellen, Joan The Waves at Genji's Door: Japan Through Its Cinema (New York: Pantheon Books, 1975), p. 317. Raddeker, Helene Bowen Treacherous Women of Imperial Japan: Patriarchal Fictions, Patricidal Fantasies (London: Routledge, 1997), p. 123. Raddeker, Helene Bowen, p. 130. Barrett, Gregory Archetypes in Japanese Film (London: Sellinsgrove: Susquehanna University Press, 1989), p.198. Bock, Audie Japanese Film Directors (Tokyo: Kodansha International, 1978), p. 41. Sievers, Sharon L. Flowers in Salt: The Beginnings of Feminist Consciousness in Modern Japan, (Standford: Standford University Press, 1983), p. 110-111. Anderson, Joseph & Richie, Donald(1982) The Japanese Film: Art and Industry, Princenton University Press, Princenton. Barrett, Gregory (1989) Archetypes in Japanese Film, Sellinsgrove: Susquehanna University Press, London. Bock, Audie (1978) Japanese Film Directors, Kodansha International, Tokyo. Bordwell, David (1988) Ozu and the Poetics of Cinema, Princenton University Press, Princenton. Cho, S. (1988) "Japanese Family Ideology in the Light of the Chinese and Korean Moral Philosophies", in Cho, S, and Runeby, N. (ed. ), Traditional Thought and Ideological Change: Sweden and Japan in the Age of Industrialisation (University of Stockholm). Freiberg, Freda (1981) Women in Mizoguchi Films, Papers of the Japanese Film Studies Centre, Melbourne. Harvey, Robert (1994) The Undefeated: The Rise, Fall and Rise of Greater Japan, MacMillan, London. Keene, Donald (2002) Emperor of Japan: Meiji and His World, 1852-1912, Columbia University Press, Chichester. Lehmann, Jean-Pierre (1982) The Roots of Modern Japan, MacMillan Education Ltd., London. McDonald, Keiko (1984) Mizoguchi, Twayne Publishers, Boston. Mellen, Joan (1975) The Waves at Genji's Door: Japan Through Its Cinema, Pantheon Books, New York. Plotkin, Ira L. (1990) Anarchism in Japan: A Study of the Great Treason Affair 1910-1911, The Edwin Mellen Press, Lampeter, Wales. Raddeker, Helene Bowen (1997) Treacherous Women of Imperial Japan: Patriarchal Fictions, Patricidal Fantasies, Routledge, London. Richie, Donald (1974) Ozu, University of California Press, London. Richie, Donald (2001) A Hundred Years of Japanese Film, Kodansha International, London. 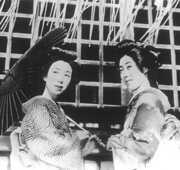 Santos, Antonio (1993) Kenji Mizoguchi, Catedra Signo e Imagen/Cineastas, Madrid. Sievers, Sharon L. (1983) Flowers in Salt: The Beginnings of Feminist Consciousness in Modern Japan, Standford University Press, Standford. Sims, Richard (2001) Japanese Political History since The Meiji Renovation 1868-2000, Hurst & Company, London.